Bayesian hierarchical models are effective tools for small area estimation by pooling small datasets together. The pooling procedures allow individual areas to “borrow strength” from each other to desirably improve the estimation. 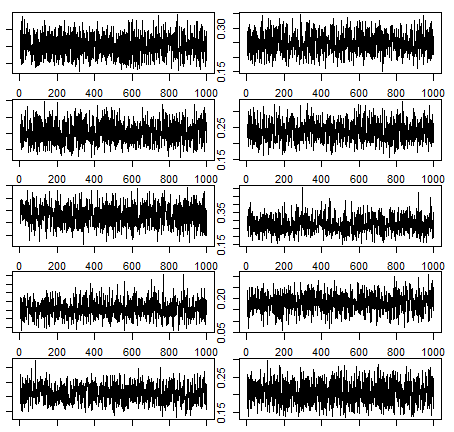 This work is an extension of Nandram and Choi (2002), NC, to perform inference on finite population proportions when there exists non-identifiability of the missing pattern for nonresponse in binary survey data. We review the small-area selection model (SSM) in NC which is able to incorporate the non-identifiability. 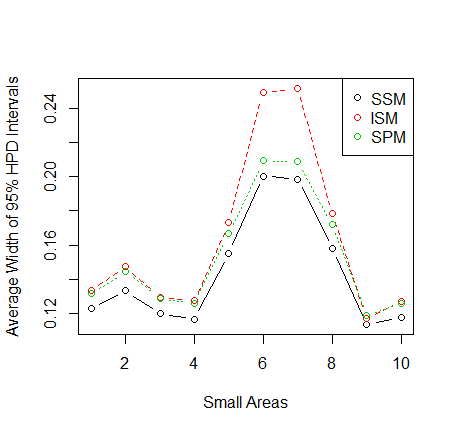 Moreover, the proposed SSM, together with the individual-area selection model (ISM), and the small-area pattern-mixture model (SPM) are evaluated by real crime data in Stasny (1991). 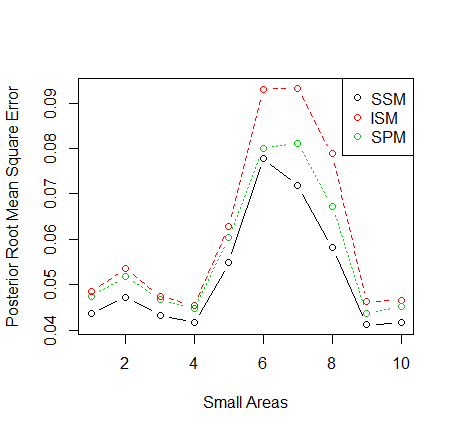 Furthermore, the methodology is compared to ISM and SPM using simulated small area datasets. Computational issues related to the MCMC are also discussed. Liu, Shiao, "Bayesian Analysis of Crime Survey Data with Nonresponse" (2018). Masters Theses (All Theses, All Years). 1175.